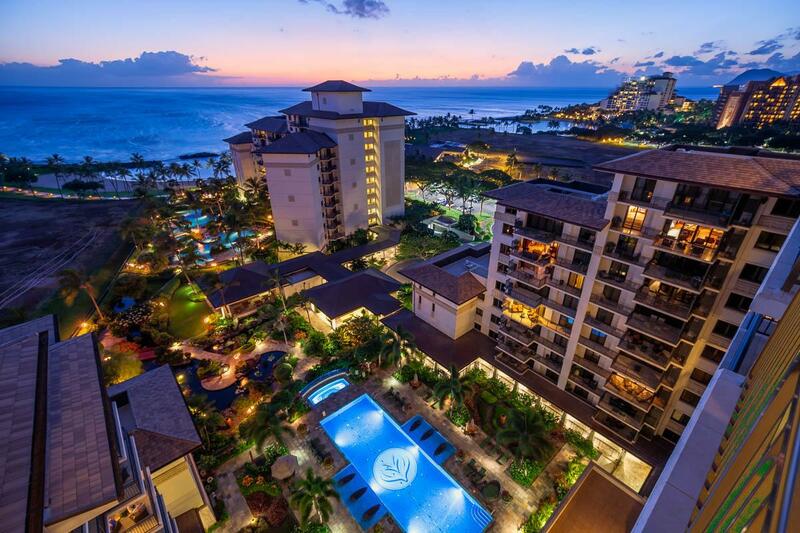 The tranquil bliss of a private beachfront escape and the convenience of on-site amenities, upscale shops, fine dining and activities. 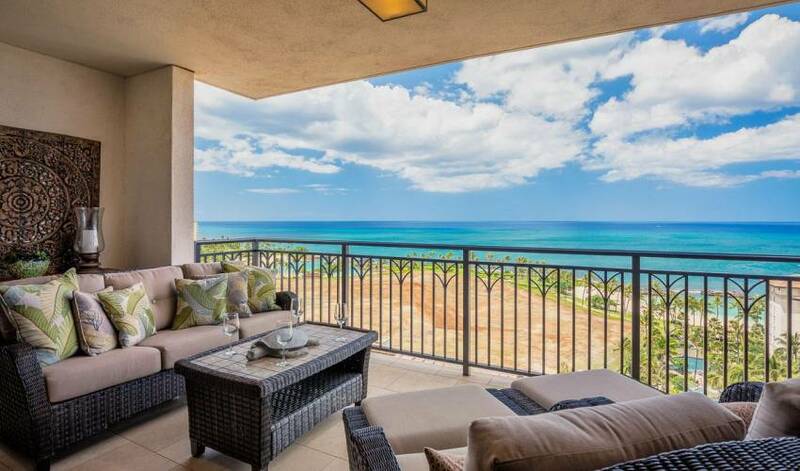 This spectacular Hawaiian penthouse dream is located on the Ocean Tower’s 15th floor at the renowned Ko Olina Beach Villas. 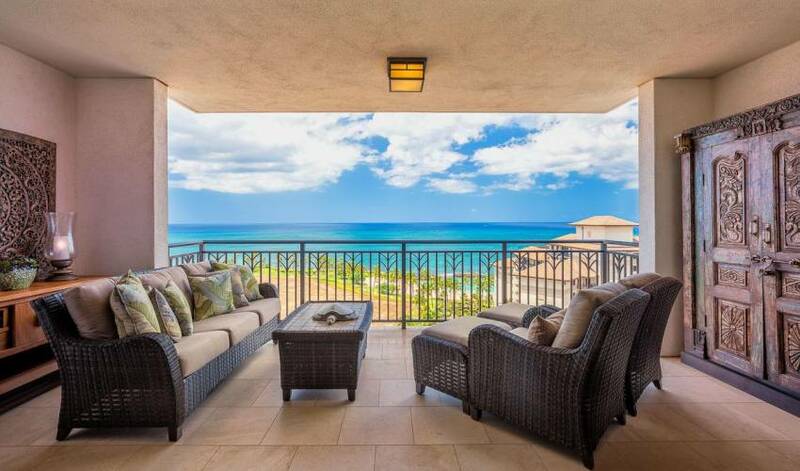 Perched in a quiet corner on Oahu’s southwest shores, you’ll have access to premium facilities, surrounded by four golden lagoon beaches. 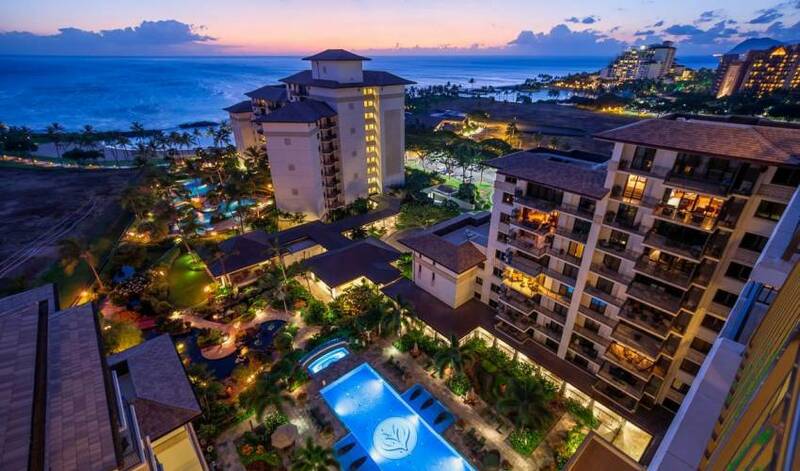 Admire sweeping panoramic views from your elevated vantage point, from the distant buildings of Honolulu, to the lights of Ko Olina and the soothing Pacific water. 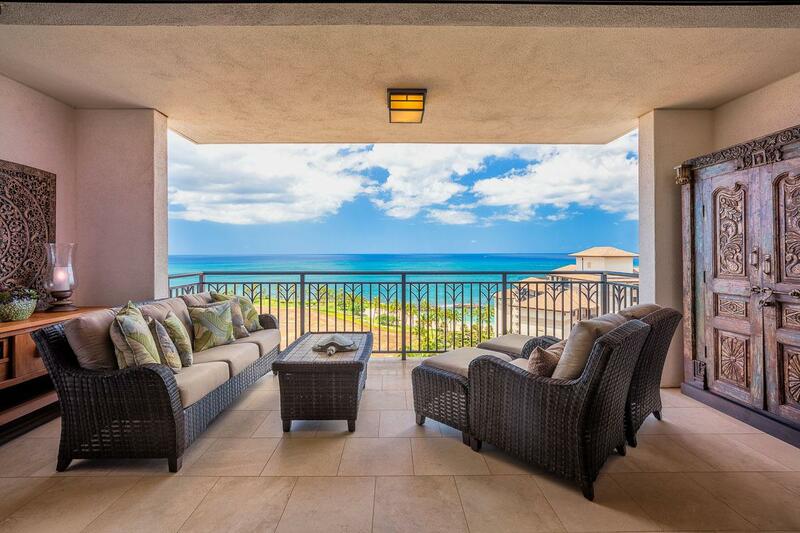 Enjoy the best of indoor/outdoor living on your covered lanai, where beautiful rattan furnishings allow you to relax and drink in the view. Your villa also has its own barbecue for preparing fresh, al fresco feasts. Stroll the resort grounds and discover lush, tropical gardens, large pools, a fitness facility, spa and beach bar. 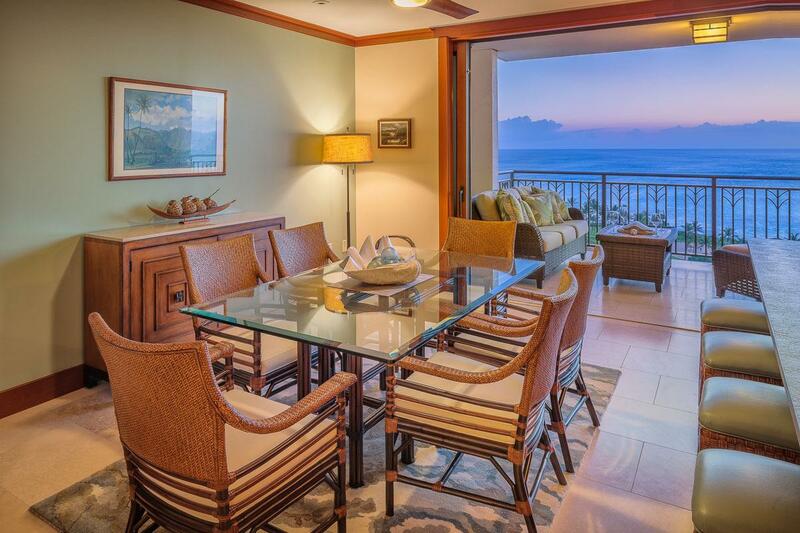 Slide open the floor-to-ceiling retractable wall, inviting in the fresh Oahu breeze. An ambiance of Polynesian chic welcomes you with wood and rattan furnishings providing a touch of warmth and flashes of tropical color emanating from a lively, yet refined palette. 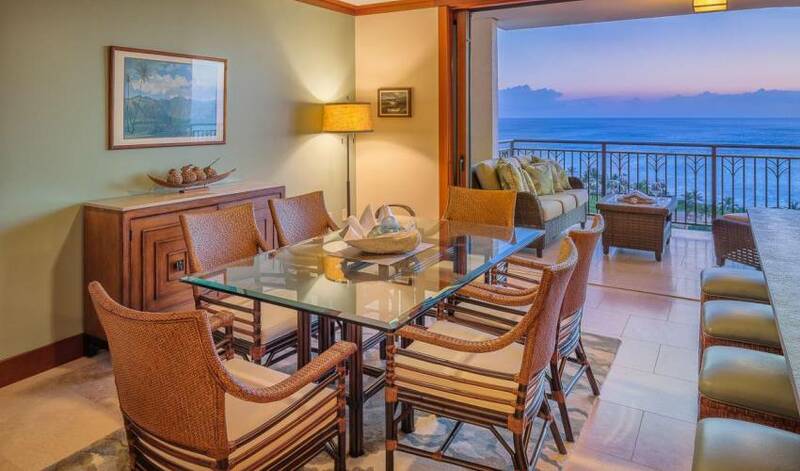 Immediately in from the lanai, you’ll find a beautiful glass-top dining table surrounded by six rattan chairs. 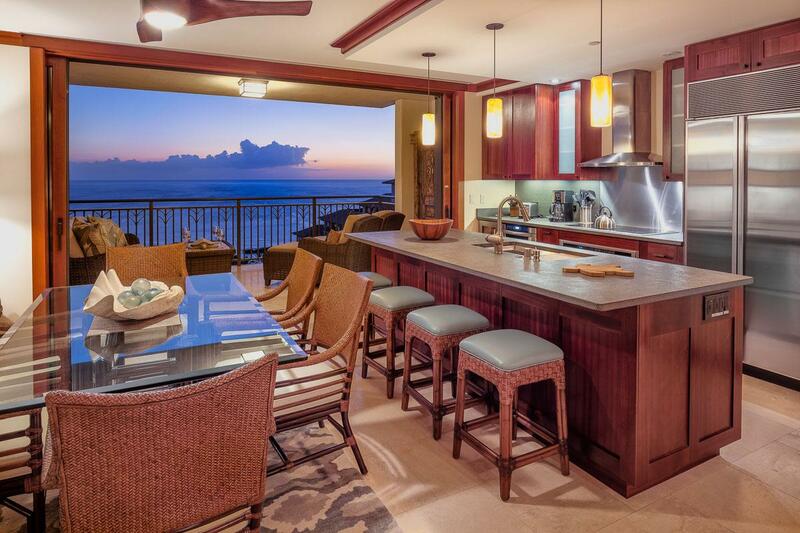 The gourmet kitchen features high-end appliances installed within granite countertops. Further inside the open-plan room, a cozy lounge set awaits, where you kind unwind and enjoy a movie on your flatscreen tv. 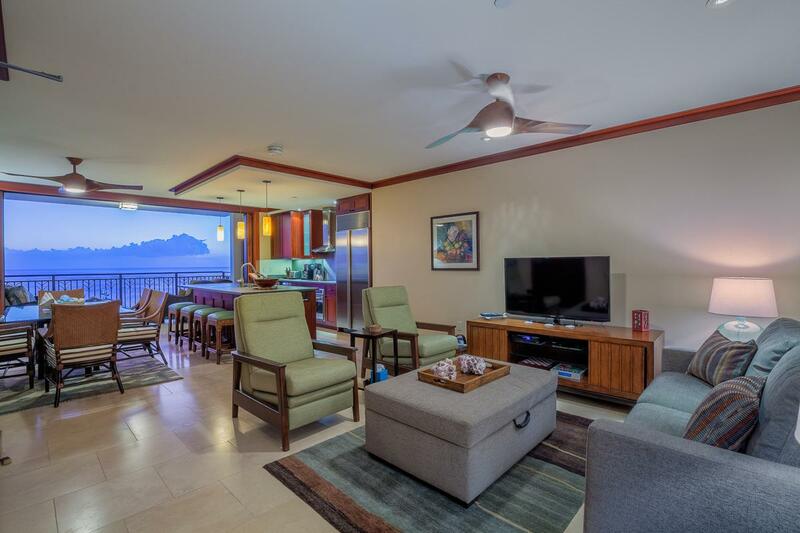 Whether you’re ready to settle into bed or simply slip away with a good book, Hale Honu’s two bedrooms provide the perfect setting for relaxation. 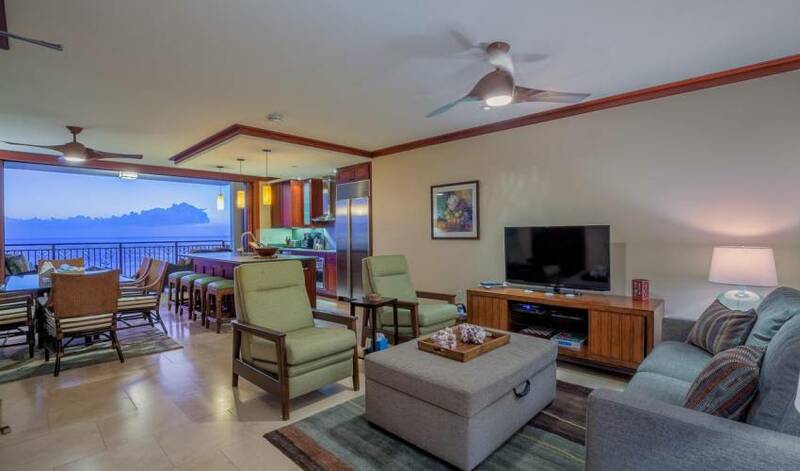 Each suite is air-conditioned and contains a flatscreen tv. 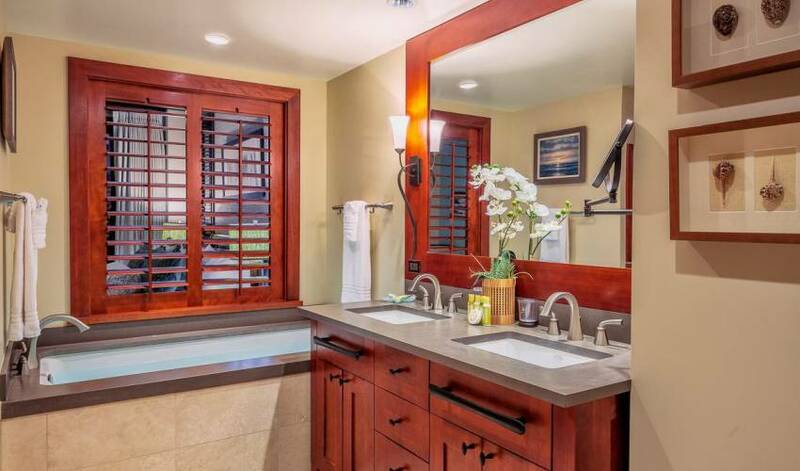 The Master suite holds a King size bed and has direct access to a private, mountain-view balcony. 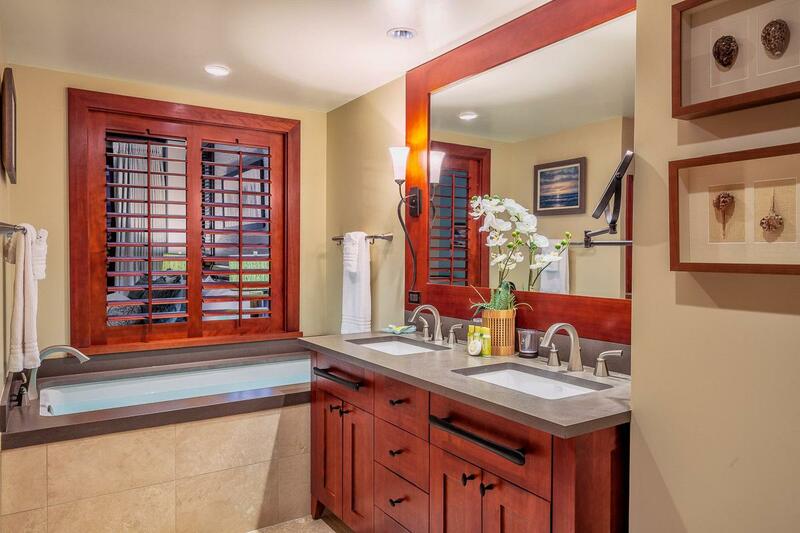 Its spectacular en-suite features fine fixtures with separate bath and shower. The second bedroom is a Queen suite that also enjoys a mountain view. 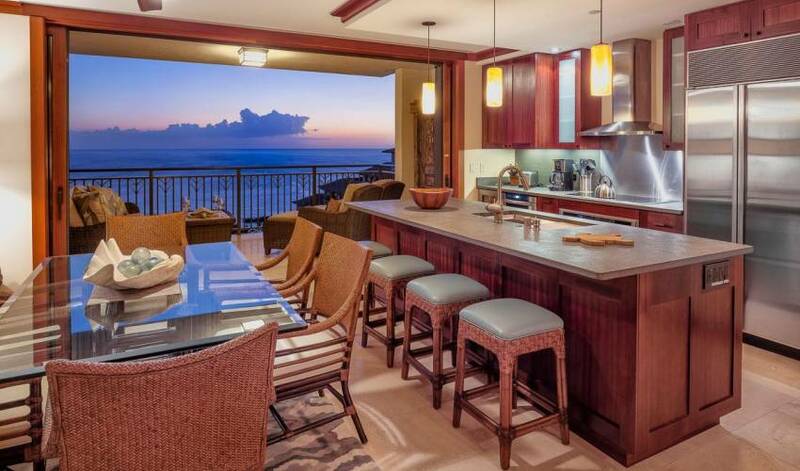 The Ko Olina Beach Villas’ prime location on Oahu’s Leeward Coast puts you within reach of the island’s best activities. 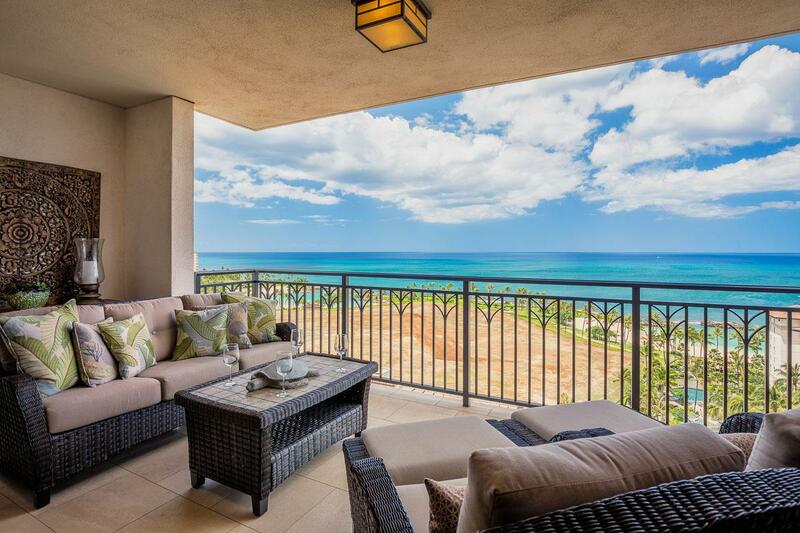 Drive up the coast to Makaha Beach, the original home of big-wave surfing. You’ll find championship golf courses within a 5-minute drive, plus shops and restaurants. Drive North to Kaena Point where you can hike out to the Eastern tip of the island.